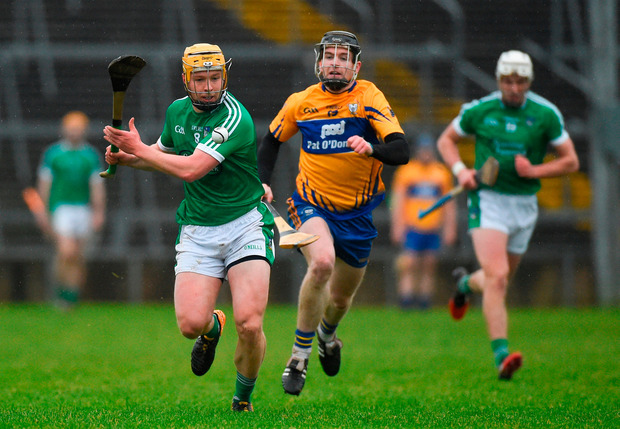 When the question is put to Paul Browne if he’d have taken Limerick winning the All-Ireland SHC title while he nurses his cruciate knee ligament injury on the sidelines before the season commenced, the response is a defiant yes. Sportspeople, by their nature, are poor spectators as they’ve spent their careers operating between the white lines rather than outside them, but in his 10th season on the Treaty panel, Browne worries little about how success arrives, as long as it does. Forty-five years is a long time to wait for a county to get their hands on Liam MacCarthy again, but the Bruff livewire admits that he wasn’t always able to see the bigger picture and he’s quick to point out that priorities change as you get a little older and wiser. “Yeah, 100pc I’d have taken it. As I said to the boys there lately, we’d a bit of a meeting the Thursday night after I had the operation. I hobbled into it. I said to the boys, ‘I don’t care that I’m not playing, I just want us to win the game,'” Browne says. “It would have been different when I was younger. That’s the truth of it. I wish now, looking back to when I was younger, I wish I had the same outlook on hurling that I have now because I’m absolutely enjoying… I used to hate going to winter training. “I didn’t enjoy the gym too much. Now I love going training, I love togging out, togging in, taking my shake, small simple things like having the craic with the boys. The young fellas are serious craic altogether. While the 28-year-old doesn’t expect to make a “phenomenal” recovery like Dublin footballer Bernard Brogan – who returned to competitive action after just 23 weeks – Browne has no intention of bringing anything but positivity to John Kiely’s set-up. “I just had a feeling that things were going well and I wanted to be a part of it,” he says. “I just said to myself that I had no part being around the team if I’m sulking for myself, so I had a choice to make and I decided not to do much sulking. Now the girlfriend at home might tell you otherwise. “But when I’m around the lads I’m trying to be as positive as I can and that’s generally how I’m feeling at the moment. The day after the surgery was tough going, I won’t lie. You are lying at home trying to do your exercises and you are telling your leg to move, and it won’t move. Browne is targeting a return in “March or April”, but he has been kept busy in recent weeks between his rehab, Limerick’s preparations and “keeping an eye” on some of the younger panel members, although he says they scarcely need assistance. Kiely and his backroom team allow Browne to play a part on match-day and while it’s “a strange sensation” to not go through the meticulous personal preparation that he has gotten used to as a player, he still has much to offer. “When you’re not togged or not playing, it’s amazing what you pick up on by not worrying about yourself. Keeping an eye on lads. All I’ve been trying to do over the last couple of weeks is trying to keep the lads in good spirits,” the midfielder says. “Just make sure the young lads – I’m playing 10 seasons now so I’ve a small bit of experience – those lads are born winners. You don’t have to be saying too much to them. Just trying to keep positive, keep passing on as much knowledge as we can. He admits his form wasn’t up to scratch when he got opportunities this year and the competitiveness of Kiely’s squad meant his game time was greatly reduced. His pride had to be swallowed with the greater good in mind. “I wasn’t hurling well and that was the fact of it. I came on in a few games, did a few things, but nothing major. That’s the smallprint of a panel, especially the panel we have. There is a chance you won’t play,” he says. While there have been many false dawns in Limerick – most notably through their three-in-a-row All-Ireland U-21-winning sides of 2002-’02 – Browne feels there’s something different about this crop and he hopes it can see them over the line against Galway in Sunday’s decider. “You can’t be guaranteed of anything. 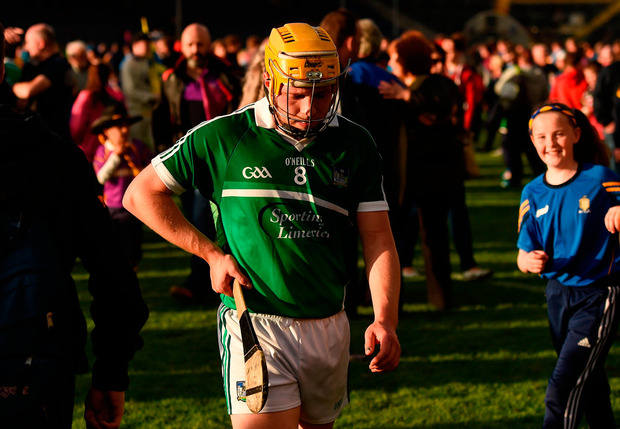 The attitude of the boys is different to any hurlers who have come through before. “They are an incredibly hard-working, honest, decent bunch of lads. There isn’t a bad egg among them,” Browne outlines. Previous articleChoices: I haven’t applied to college – what study options are still open to me?